Kishi Bashi is an alias for, and project of, renowned violinist, multi-instrumentalist, loop artist and songwriter Kaoru Ishibashi. His captivating virtuoso musical ability has fostered a groundswell of devotees. Kishi Bashi’s Kickstarter-funded debut album 151a was self-released, recorded and produced in 2012. NPR awarded it the “Best New Artist of The Year”. It received applause from Huffington Post, Paste, Spin, Stereogum, and many others. Microsoft, Smart and Sony licensed songs from the album for commercial use. 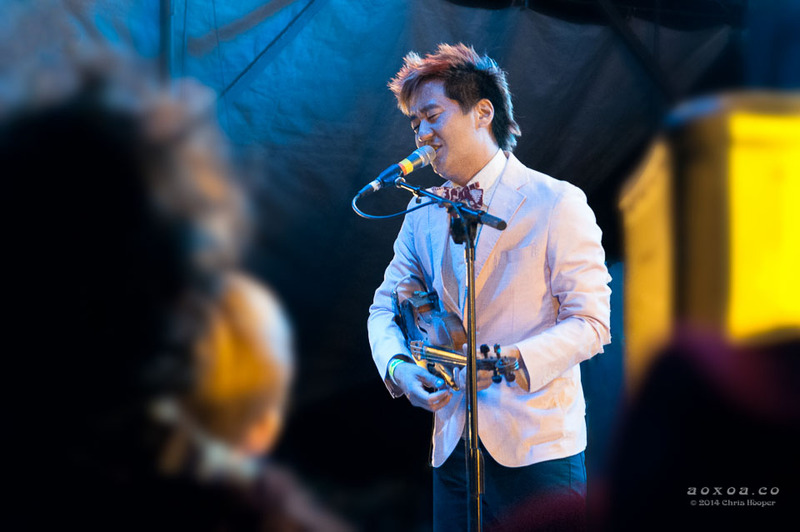 Kishi Bashi has since toured across the globe and has played in major festivals such as SXSW and Austin City Limits and Utopiafest. 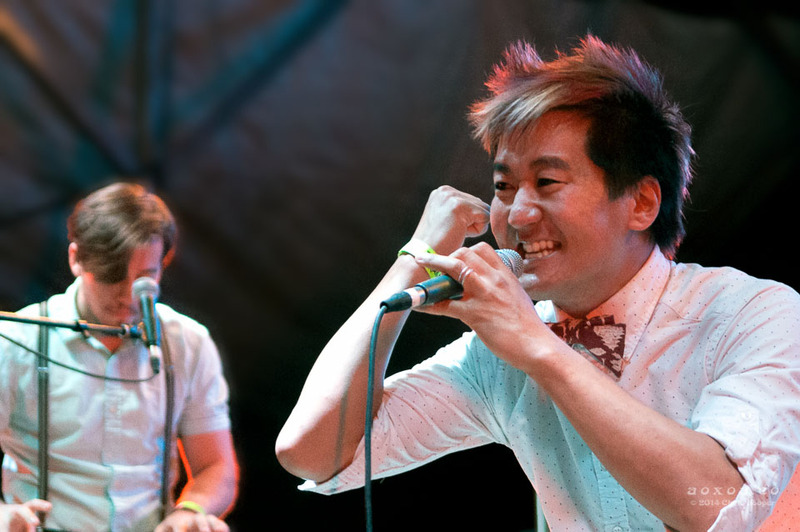 Concert and festival photographer Chris Hooper (aka AoxoA) presents images of Kishi Bashi’s live show at Utpiafest 2014 and media clips from various sources. Kaoru Ishibashi performs some of his show as a one-man symphony using live violin and vocal looping and beat boxing. 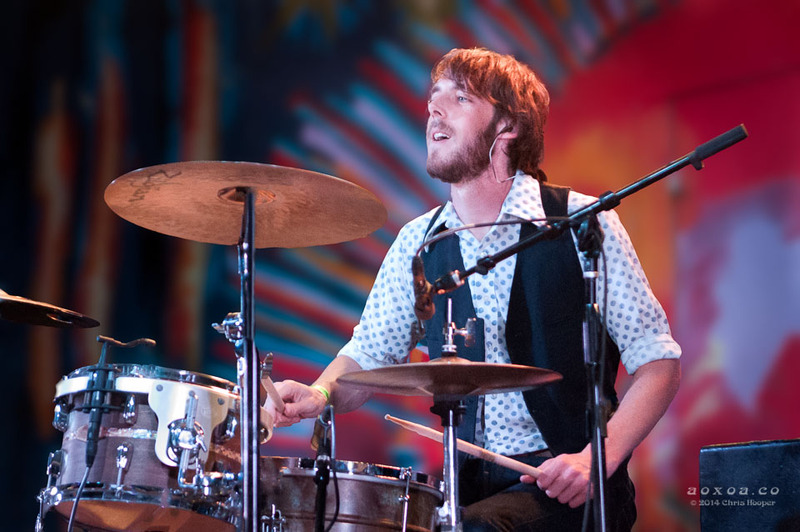 Mike Savino from the tall tall trees is not your grandaddy’s banjo player. 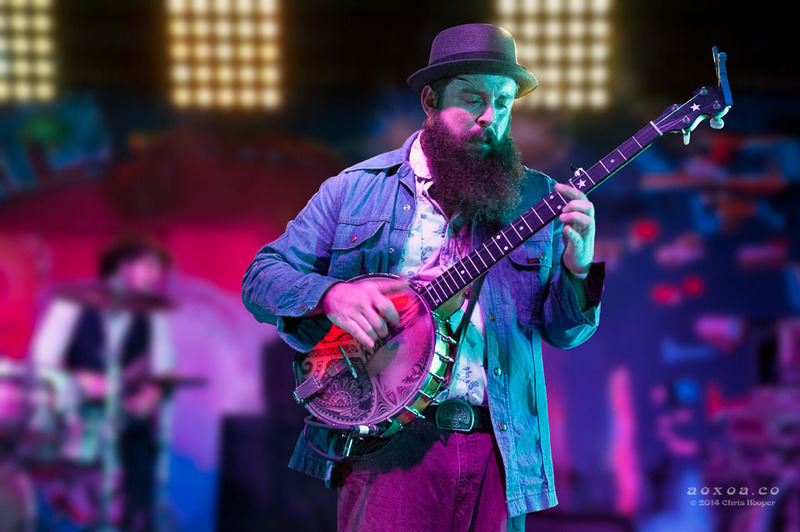 His color-changing “space banjo” allows for looping and percussion effects. Kaoru Ishibashi brings out the touring band for the rest of the show. 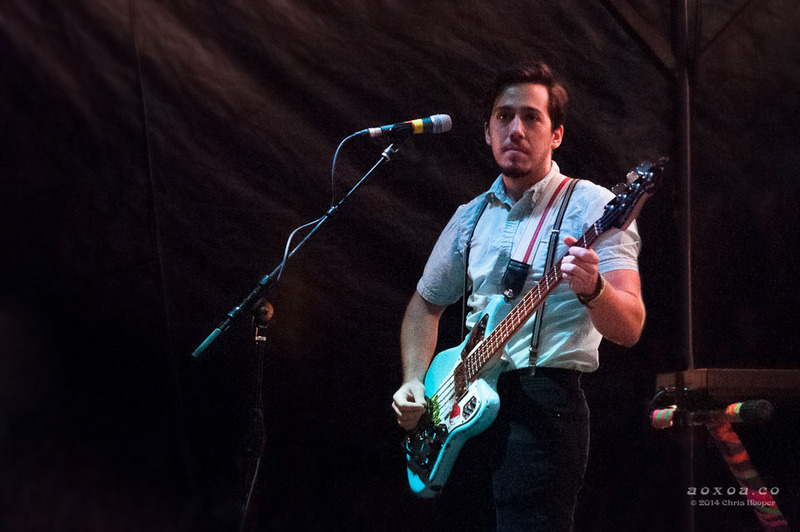 Bassist Daniel Brunner also plays keys and does up to 50 push-ups. 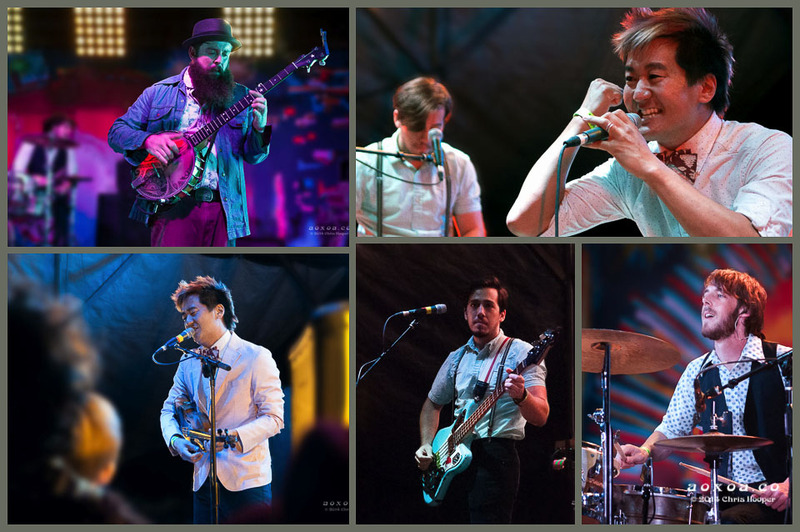 These are the best photographs I have seen of Kishi Bashi playing at Utopiafest.